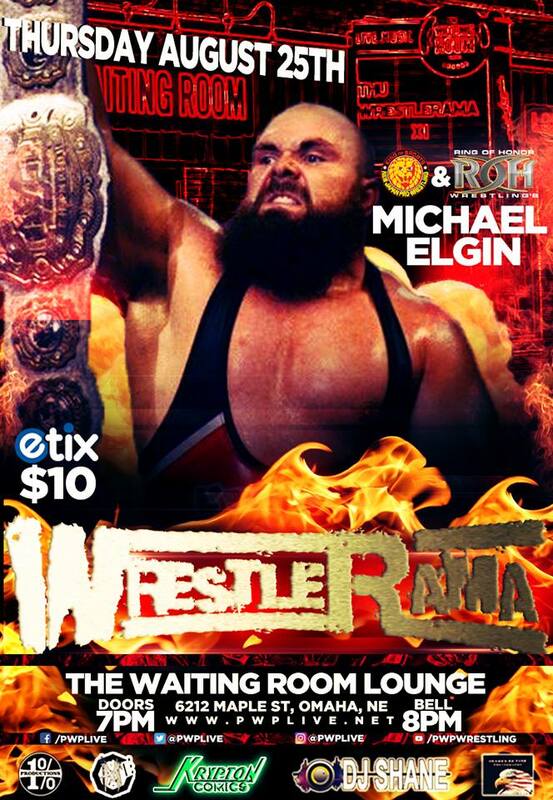 PWP Live presents WrestleRama XI Featuring current IWGP Intercontinental Champion “UNBREAKABLE” Michael Elgin! Make sure to keep up with PWP Live on our social media sites for event updates! This entry was posted on August 1, 2016 at 11:45 am	and is filed under Uncategorized. Tagged: Michael Elgin, Pro Wrestling Phoenix. You can follow any responses to this entry through the RSS 2.0 feed. You can leave a response, or trackback from your own site.